Over half a million small businesses get started in the United States every single month. If you are starting your first small business, you will immediately find a tremendous amount of advantages in your new work venture. You will control your schedule. You will be in charge of how much money you can make. Most importantly, you will be able to channel your entrepreneurial spirit into something that is incredibly rewarding. Owning a small business is not all upsides though. There are a few complexities you will need to navigate, especially if you are used to being someone else’s employee. Among the most challenging of these complexities are taxes. Filing small business taxes for the first time is confusing and there are a lot of pitfalls which can lead to costly penalties and audits. Below, our team of tax experts has compiled 5 important tips to help you along your small business tax journey. 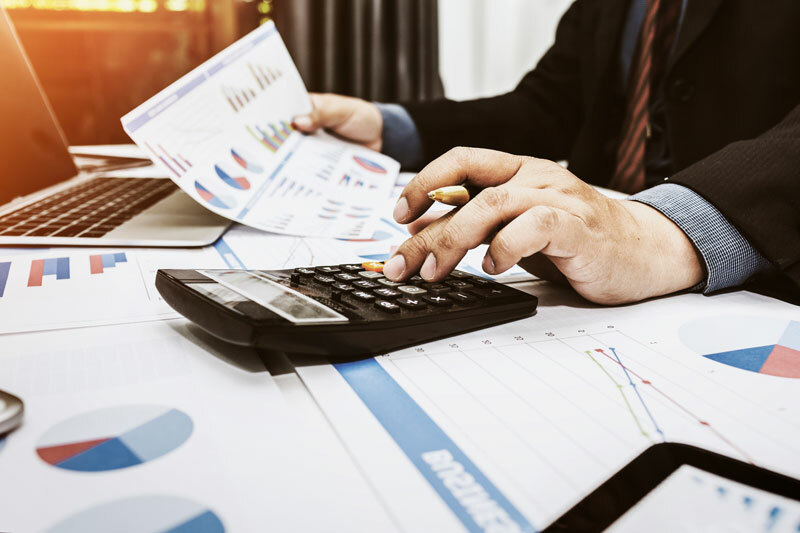 If you run a small business, particularly if your small business situation is one of a sole-proprietor nature, it can be easy to fall into the pattern of mixing business and personal expenses. This process can lead to a tremendous amount of difficulty later in itemizing what expenditures you made that were necessary to your business functions (and are tax deductible) and which expenses are not. If you later try and sort through everything, you could make mistakes. Those mistakes may lead to your missing out on valuable deductions. Whether you are working with an Excel spreadsheet, accounting software or have a trusted accounting professional in your corner, you are going to want to make sure that your method for tracking your income and expenses is accurate. There is a tremendous amount of opportunities for people filing small business taxes for the first time to get breaks. Everything from home office, transportation, and healthcare expenses, and beyond. If your records are not well kept, you will almost certainly end up underpaying or overpaying for taxes. This process can create headaches down the line. One of the biggest jolts people filing small business taxes for the first time get is that they do not realize they are supposed to file their taxes four times a year. Not just once in April. The IRS lays out who exactly needs to go through this process and who is exempt right here. Knowing if you need to file quarterly taxes and doing it correctly is essential to avoiding penalties. While tax deductions reduce your taxable income which essentially leads to savings equal to your tax bracket percentage, tax credits are a straight dollar-for-dollar reduction on what you will owe in taxes. Because of that, tax credits are more valuable than deductions, therefore, it is important to know which credits you may qualify for. A qualified tax professional can help you explore tax credits you may be able to claim during your next filing period. There are a lot of DIY tax solutions out there. Still, none come close to the level of accuracy and the amount of savings you will get each year when you hire an accountant. Having a money management and tax professional in your corner means you will not need to overextend yourself trying to navigate complicated rules and regulations. Instead, you will get to invest your time in the areas of your company that mean the most to your growth. Filing small business taxes for the first time can be a daunting endeavor. With the help of our tips above, however, you can significantly reduce the stress involved. You can also better ensure your compliance with tax codes and save yourself a lot of money. Are you looking for a world-class tax professional that specializes in helping small businesses? If so, our team at Parker Business Consulting & Accounting can help. We have spent years helping business owners grow their companies sustainably via our accounting and consulting services. Let us take our expertise and assist you. Contact our team today to learn more about how we can help maximize your revenue.